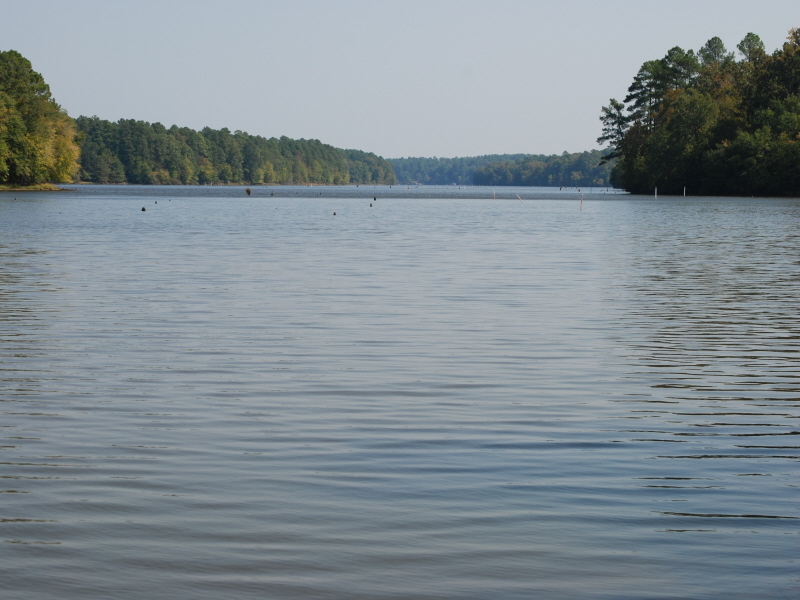 Adjacent to Poison Spring State Forest, this park lies on the shore of White Oak Lake, 2,765 timber-filled acres for bass, crappie, catfish and bream fishing. 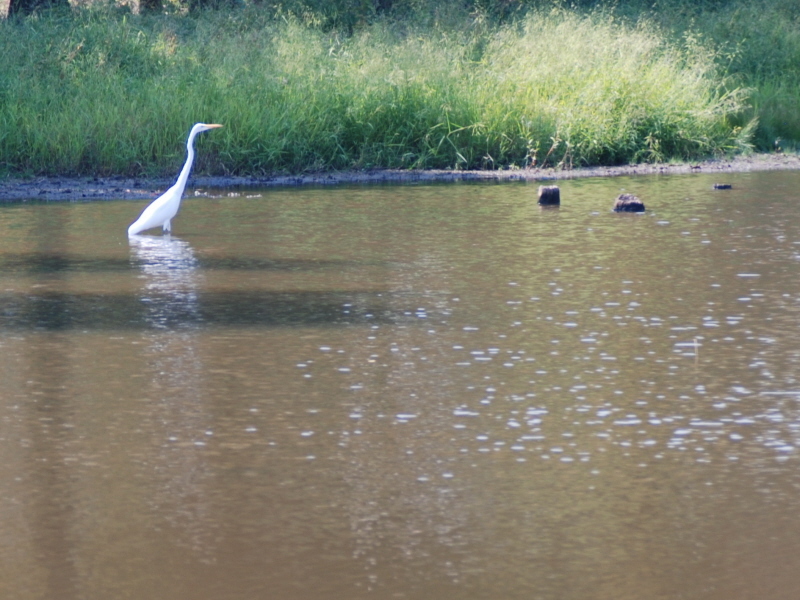 Rich in wildlife, the park offers regular sightings of great blue heron, egret, osprey and green heron, and in winter, bald eagles. 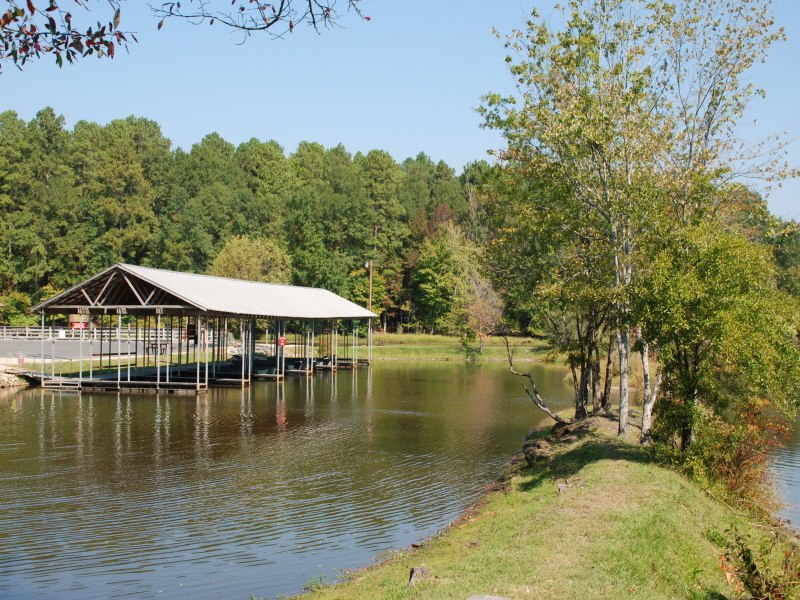 Park facilities include 45 campsites (Preferred B, Standard B and Tent sites); a store with supplies, bait and gifts (open throughout the year); marina with boat rentals; launch ramp; barrier-free fishing pier; standard pavilion; picnic sites; trails and a playground. 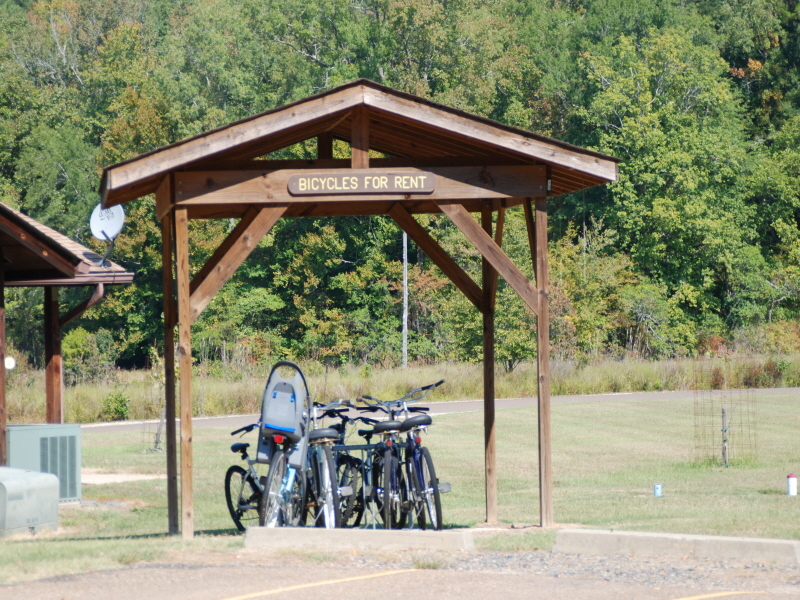 The visitor center includes exhibits, a CD interactive program and bicycle rentals. 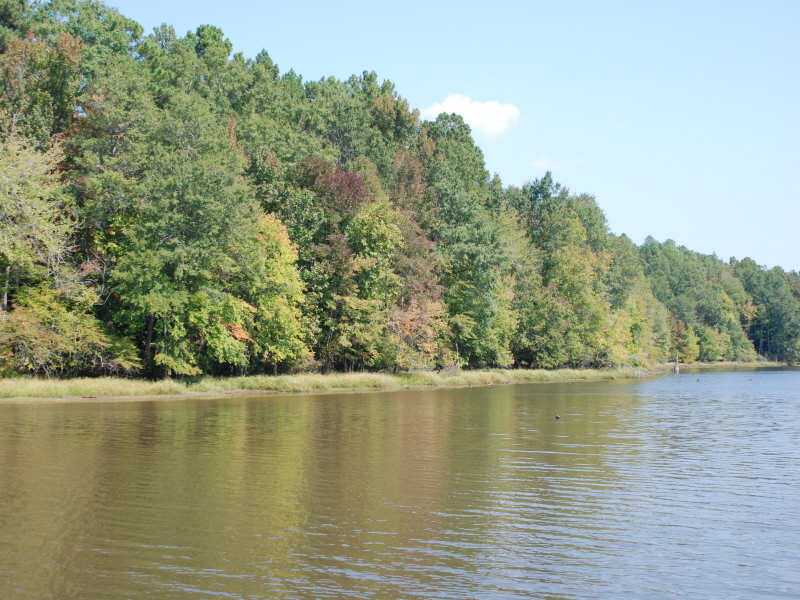 Description: Beginning among bottomland hardwoods, this loop trail climbs to a loblolly pine forest. Along the trail, beech and hickory predominate. Transition of forest and ecosystem types is the dominant theme of this scenic trail. Description: This trail is a three mile spur from the southeast corner of the Beech Ridge Trail. You should allow at least 1 1/2 hours to complete the entire loop. 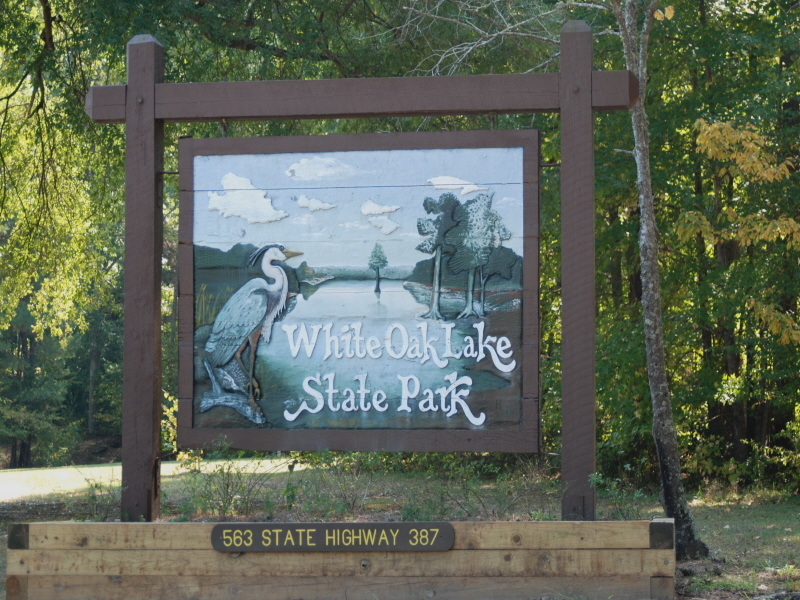 The trail gets its name from the geographic region in which White Oak Lake State Park is located -- The Gulf Coastal Plain Region. Blue blazes mark the route. 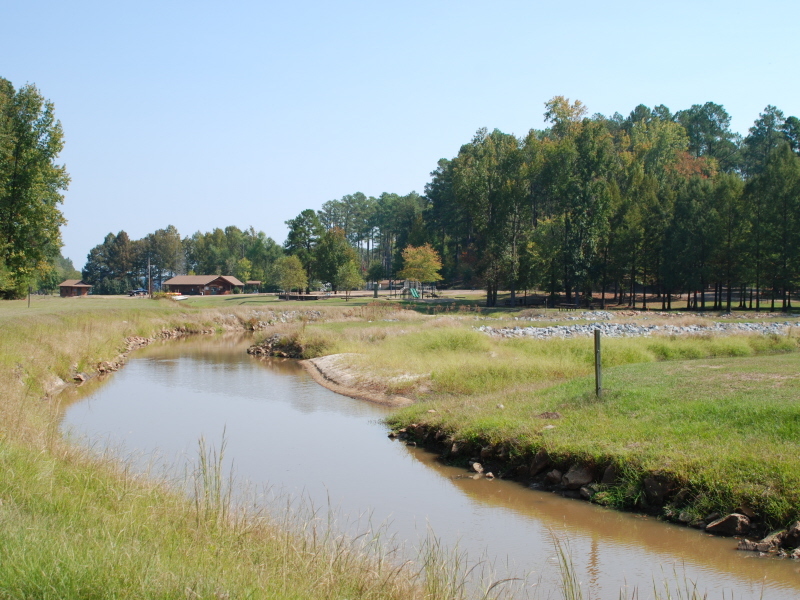 The Coastal Plain Trail meanders through some of southern Arkansas's most unique terrain. In this terrain you'll see the unusual plant life of the sandhills, including fascinating memeber of our woody flora. Location: From I-30 at Prescott, travel 20 miles east on Hwy. 24, then go 100 yards south on Hwy. 299, then go two miles southeast on Hwy. 387. 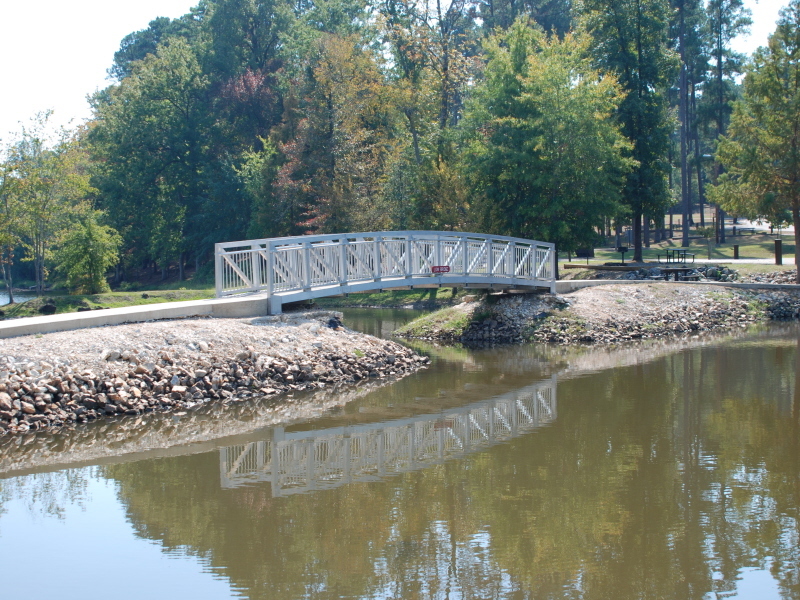 Description: The self-guided Spring Branch Trail trailhead is located in the picnic area below the pavilion. 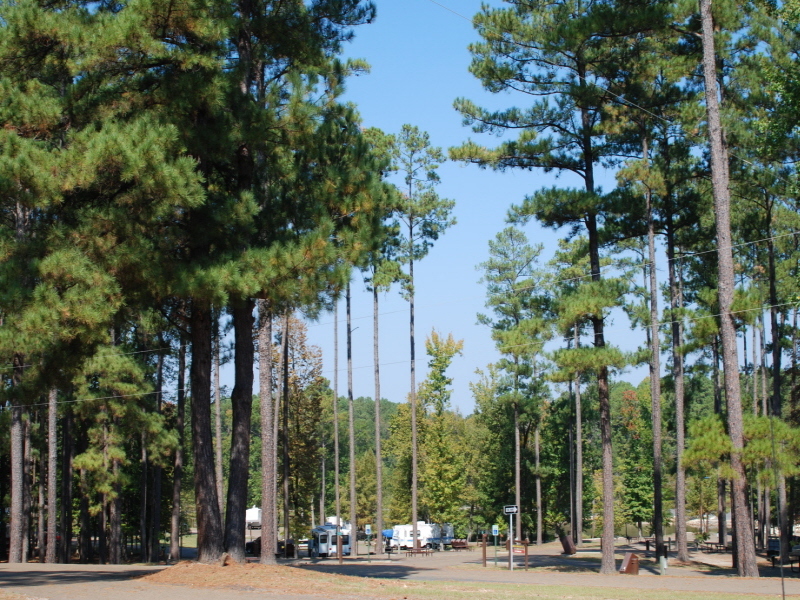 This trail takes you on a path through the park showing you some wonderful examples of Arkansas's trees. We love camping here. It is very peaceful and the place is very well maintained. The park staff is very friendly and helpful. It is a great place for everyone. Our grandchildren love coming here with us. We just wish they had a swimming area. That would make it perfect. But, we do love it here!! We come as often as we can. 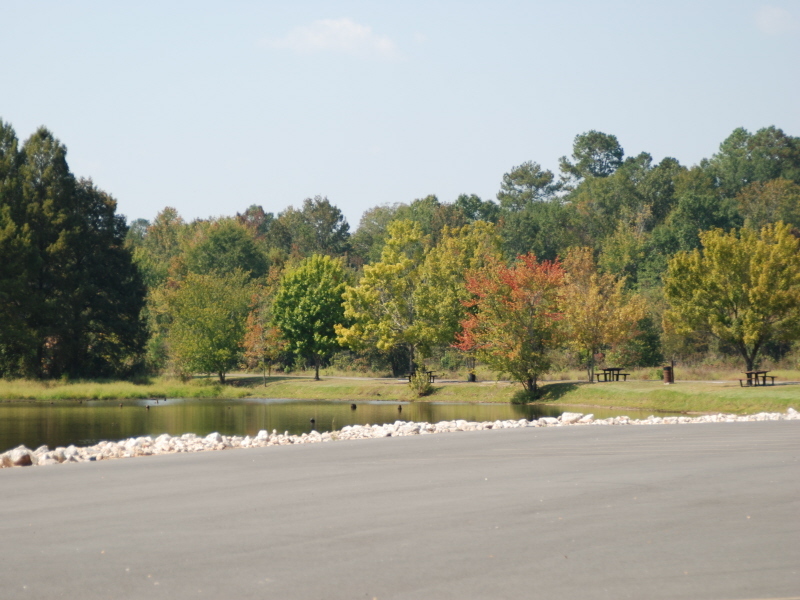 We love going to the State Park it is very peaceful, clean, security is great, well lighted, very friendly workers. I would rate White Oak State one of the Best. If you are looking for a place to go and sit and watch the Fish and Ducks right outside your Camper Window then this is the place to go. 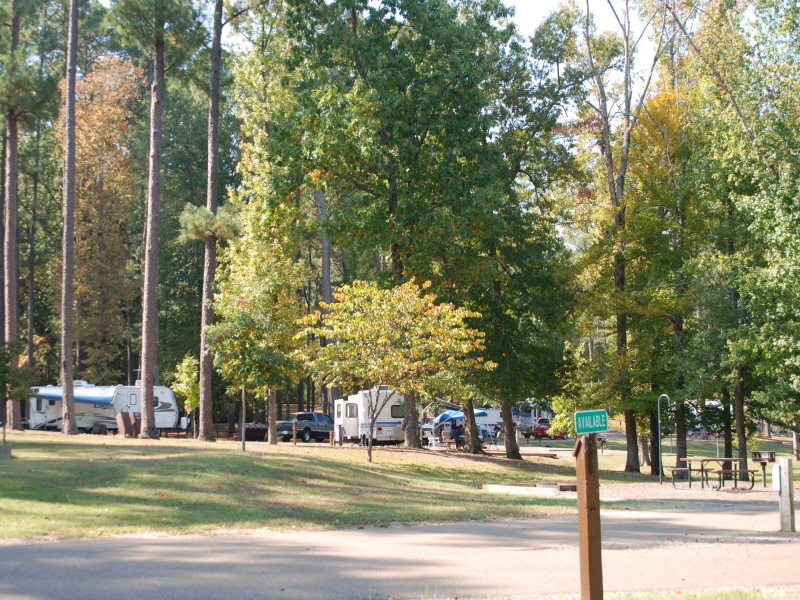 We stayed in our RV with our grandkids and their parents, who tent camped on our site. The park staff were extremely helpful and friendly. The park was very clean and well maintained. It was peaceful and family friendly. The parents took a long ride on the bike trail, and really enjoyed it. This was one of my favorite spots. From I-30 at Prescott, travel 20 miles east on Ark. 24, then go 100 yards south on Ark. 299, then go two miles southeast on Ark. 387.